I manage to knit a pair of socks about every two weeks – that’s how long it takes me – 25 hours or so. Since I knit for a couple of hours only in the evenings – two weeks. People say to me, “Oh you should sell them!” Right – 26 pairs of socks, more or less, a year – any idea what I’d need to charge to make that worthwhile? People are shocked when I say I charge $50 for a pair – $25 for the yarn, 25 hours – that’s just $1 an hour for my labour. Want to know what these socks are really worth – @ $90/hour that my physio or massage therapists charge – these socks should be priced $2250 + $25. The price I should be charging is $2275! Why should my time be worth less than theirs? No, these socks are gifts of love to people I know are going to treasure them! If fact, I like these ones well enough that they may just go into MY sock drawer! Wow!!! 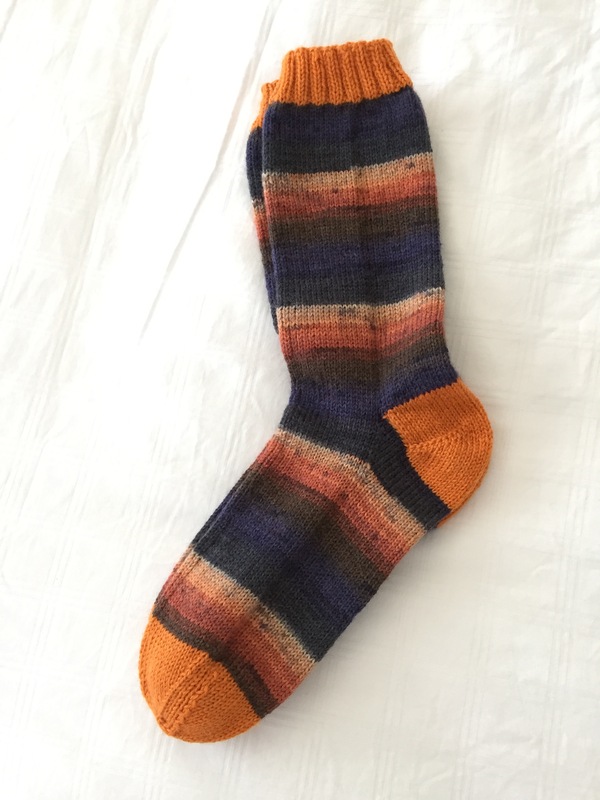 You are super talented!I am a beginner knitter, so any person that makes socks is like…. Incredible lol.